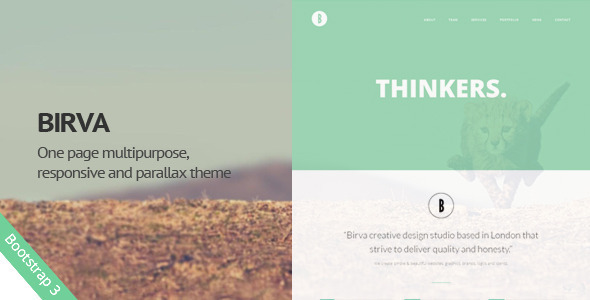 BIRVA One Page Theme is a vibrant, responsive one page parallax theme built on the Bootstrap 3 framework. It is easy to customize and well documented to suit your needs. The images used on the Live Preview are for demonstration purposes only and are not included in the download files. -Update contact form and update php script.